Bruce Armstrong, one of my favorite evangelical bloggers, has expressed dismay with James Dobson who is, once more, choosing the path of "intimidation over reason" (Leith Anderson's phrase) in calling for the ouster of a vice president of the National Association of Evangelicals, for his activism on global warming. Dobson and others claim that the Rev. Richard Cizik is dangerous and divisive because he, like other evangelical leaders such as Pastor Rick Warren, think that global warming is real and a spiritual issue, entailing the responsible stewardship of God's gift of life and of the earth. Whatever your feelings about global warming, Dobson's increasing use of intimidation, both in the political realm and in church circles, is disturbing. His work on family relationship issues is valuable and I will always be grateful to Dobson for that. But I agree with Bruce that Dobson has become increasingly shrill and judgmental toward those who disagree with him, even those within the Church. It's disturbing! Proof. I started out feeling sorry for Coulter and her pathetic need for fame at any cost. But pity has given way to disgust. 34Jerusalem, Jerusalem, the city that kills the prophets and stones those who are sent to it! How often have I desired to gather your children together as a hen gathers her brood under her wings, and you were not willing! God never gives up on His love for us. In spite of centuries of rejection, God never forgot that the people of Israel, now conquered or dispersed and beaten down, were His people. They were be the beneficiaries of salvation and through them, in the person of Christ, Israel was still a light to the nations. God's love is tenacious. Here, we see Jesus, God enfleshed, portraying Himself with female imagery, a hen with its chicks. 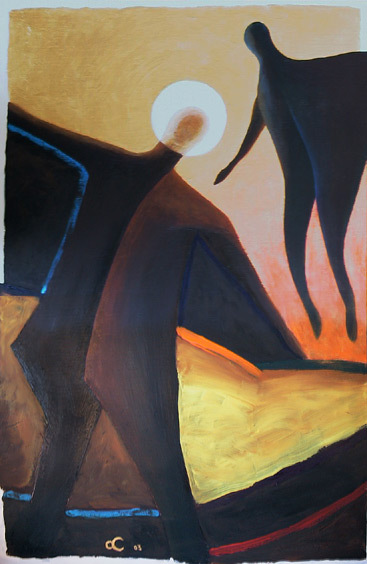 According to Genesis 1:27, men and women reflect various aspects of God. The Old Testament often refers to God as "compassionate," a word which, in the original Hebrew, had the word for womb in its root. Those who claim that they can't pray to God because of masculine imagery forget passages and images like these. (2) The contest of wills that permeates our lesson is seen here. Twice, verbs with the root, theleo, which means to will something, appear in this verse. Jesus says, "How often I willed/wished to gather the children of you..." And then, Jesus expresses the rebellious will of Jerusalem, "and you willed not." The life of faith, rarely easy, consists in the surrender to the Father's will which Jesus expresses in Luke 22:42. (1) In 70AD, Jesus knew, Jerusalem would be destroyed by the Romans, in the process of crushing a Judean rebellion. The houses of Jerusalem, including its "house of worship," the Temple would be destroyed. But for now, the willful people of Jerusalem would have their houses. (2) Only when people see Jesus with the eyes of faith can they declare Him to be the One Who comes in the Name of the Lord. Similar words were used by the Jerusalem crowds to welcome Jesus on the Sunday before these events, on what we call Palm Sunday. Those crowds could apparently see what the Pharisees Jesus here addresses couldn't. A Few Thoughts on Arthur M. Schlesinger, Jr.
Arthur Schlesinger, Jr., who died on Wednesday, was the first serious historian I ever read, back when I was in junior high school. My first Schlesinger book was A Thousand Days, his account of the Kennedy Administration, of which he had been a minor White House functionary. No doubt Kennedy, himself a Pullitzer Prize winner in history--although there are those who believe that speechwriter Ted Sorenson was the actual author of his Profiles in Courage--wanted Schlesinger, renowned for his works on Andrew Jackson and Franklin Roosevelt, close at hand to chronicle his presidency. But Kennedy probably also thought that he and Schlesinger would pen the account together. The tragic events of November 22, 1963 put an end to that plan. The account that Schlesinger produced without Kennedy can rightly be criticized as being more hagiography than biography. But one shouldn't be too critical of him for that. Other members of the Kennedy Administration produced similarly worshipful books at almost the same time, most notably Sorenson and press secretary Pierre Salinger. Given the assassination of Kennedy and the sense of lost promise they all carried, that's probably to be expected. Their approach, that of casting their boss as a hero worthy of a place on Mount Rushmore, isn't unique among the volumes produced by presidential subordinates, before or since. an intense commitment to the liberal tradition in Democratic Party politics. Schlesinger was unrepentantly partisan and his work largely chronicled the icons of the Democratic Party, among which he insisted on including Kennedy, while delivering robust condemnations of Republicans. But this intensely partisan and deeply liberal academic could also be a pragmatic pol. Like John Kenneth Galbraith, another Harvard scholar, Schlesinger never lost his love for Adlai Stevenson, the Illinois politician who had the misfortune of facing Dwight Eisenhower in both 1952 and 1956, when he was overcome by electoral landslides. To the end of his days, Schlesinger contended that Stevenson would have made a great President. But when Stevenson made a third run at the Democratic presidential nomination in 1960, Schlesinger (and Galbraith) made the calculation that an unambiguous liberal like Adlai, who had already lost twice, wouldn't be as palatable to the American people as a fresh-faced, World War Two veteran who was less than enthusiastic about civil rights and had a tough record as a Cold Warrior. He supported Kennedy for President, bringing many of his Americans for Democratic Action (ADA) friends in tow. In more recent years, Schlesinger served as general editor of the wonderful New York Times series of books on US Presidents. The old master did a great job! Each volume is about 150-pages in length, providing scant details on the lives of the chief executives before their terms and after, if they survived them. The focus of each was the periods of their presidencies. I love this series, although not every volume is a homerun. Hans L. Treffouse, for example, could have provided more information on Rutherford B. Hayes, rather than assuming that readers knew more of the background of this obscure President than is likely the case. Robert V. Remini, known more for his work on Andrew Jackson and Henry Clay, was, I thought, intensely unfair to John Quincy Adams and his admittedly prickly family. But Schlesinger's selection of who should author the various books bordered on the inspired. He picked John Dean, Marion, Ohio-native and the Nixon adviser whose testimony unraveled the 37th. President's scandal-plagued Administration, to write the story of Marion, Ohio native Warren Harding's posthumously scandal-plagued presidency. Roy Jenkins, the British politician and eminent Churchill biographer, was selected to write about Franklin Roosevelt's White House tenure. Novelist E.L. Doctorow, with his appreciation of the ironic, of history, and of the poetic in life, was assigned the account of Abraham Lincoln's administration. Tom Wicker, the Times correspondent who had covered Eisenhower's presidency, critically, wrote a volume on Ike's tenure that was, with the benefit of passing years, surprisingly appreciative. John Siegenthaler, the Tennessee journalist who served in the Kennedy Justice Department, wrote the volume on Tennesseean James K. Polk, who probably worked himself into an early grave through his control freak approach to the presidency. Today on NPR, I heard historian Robert Dallek say that Schlesinger never expected that what he wrote would be the definitive accounts of any era or any historical figure. Historians always debate and revise, he knew. Schlesinger's judgments will be questioned. But his scholarship never will be. And, I think, anywhere people appreciate language, his writing will continue to be enjoyed. Labels: Arthur M. Schlesinger, History, Jr.
(1) My own view is that the Pharisees in question here weren't saying this primarily for Jesus' benefit. I believe that they were frightened by the prospect of Herod coming down hard on the people of Jerusalem if Jesus went to the city. Herod, they might have reasoned, would not be keen on anybody welcomed to Jerusalem as a king. Herod's willingness to kill John the Baptizer certainly indicated that he felt no hesitation about killing off religious leaders he saw as threats to him. (2) The Herod here is Herod Antipas, the son of the Herod who reigned at the time of Jesus' birth. While they ruled over various portions of Judea at the pleasure of their Roman overlords, they had substantial latitude. The Romans found it convenient to use local rulers in an attempt to quell the restiveness of conquered peoples resentful of foreign dominion. The Herods were ruthless, violent, unscrupulous, and murderous. They certainly belong in the same category as such monstrous rulers as Adolf Hitler, Joseph Stalin, Idi Amin, Saddam Hussein, The Shah of Iran, and others. (3) The very first verse of this lesson introduces one of its overarching themes: The clash of wills between God and the opponents of God. In the original Greek, the Pharisees literally tell Jesus, "Herod wills you to kill." The verb in its root form is theleo. It will come up again in this short passage. (4) By the way, Lutheran pastor Brian Stoffregen points out the two sections of this lesson--remember that yesterday we pointed out that vv.31-33 are unique to Luke and vv.34-35 are similar to a passage in Matthew--have three key words in common: kill, prophet, Jerusalem. (5) The Pharisees' words, translated as "Get away..." are in imperative form, as though uttered as an order. We see then, that it isn't just the wills of Jesus (with God the Father) and Herod in contest here. The Pharisees also have the outcome they will; for whatever reason, they don't want Jesus to go to Jerusalem. 32He said to them, “Go and tell that fox for me, ‘Listen, I am casting out demons and performing cures today and tomorrow, and on the third day I finish my work. (1) Interpreters disagree on just how Jesus is using the term fox. Some suggest that it denotes a sly subtlety on the part of Herod. But this wasn't his reputation. There was nothing subtle about Herod's methods. Beheading a preacher who challeneged his faithfulness to God's will is hardly the act of a subtle ruler. I have the feeling that Stoffregen, in his comments on this passage, has it right. Herod, as the fox, will be the counterpoint to Jesus' representation of Himself as a mother hen looking out for her chicks. (2) The term fox can also be translated as jackal. That begins to convey, I think, the murderousness that Jesus is associating with Herod Antipas. (3) Jesus responds to the Pharisees' imperative statement with one of His own, "You go tell that fox..."
(4) Scholars are divided on whether "the third day" refers to the resurrection. I'm personally satisfied that it does. (5) The phrase "finish my work" renders the word teleioumai, which can mean bring to completion or perfect or fulfill. (2) Jesus knows that the ultimate contest between God's will and the self-will of rebellious humanity must be Jerusalem. It's the site of the Temple in which it was believed the very presence of God dwelt in the Holy of Holies, the city where the civil and religious leaders of Judea lived, and the city that Rome chose to be its base of operations in the region. Jesus' rendezvous with Jerusalem, which He was bound to keep, would spark the ultimate war between God and sinful humanity, a war which God would win through the voluntary death of Jesus--an offering for our sin. (3) The idea in this and the next verse seems to be that since Jerusalem kills prophets, like the John the Baptist, it's appropriate that Jesus be killed there as well. Jesus isn't saying that all prophets were killed in Jerusalem, which is clearly not the case anyway. (4) Don't read fatalism in Jesus' words either. This isn't like Rick, Humphrey Bogart's character in Casablanca, responding to a person desperate to get safe passage out of the Vichy-occupied city for fear that they will die there, "Why not, a lot of people are going to die in Casablanca?" Jesus isn't fatalistic; He's faithful. He, sinless God-in-the-flesh, is willing to share the same rejection and death that had come to God's prophets, all so that He can be the perfect sin-sacrifice for humanity. I hope to finish these verse-by-verse comments tomorrow. 2. Luke 13:31-33 are unique to the Gospel of Luke, whereas vv. 34-35 are similar to verses found in Matthew's Gospel. 3. The broader context in which this lesson falls is a great section of Luke's Gospel which runs from Luke 9:51 to 19:28. We might call it The Journey to Jerusalem. In it, Jesus is seen as being intent on fulfilling His mission of being crucified and of rising from the dead in that city. Along the way, He meets people who, for various reasons, either attempt to stop Him from fulfilling that mission or spurn Him because that's His destination. But Jesus is faithful and will not be deterred. Considering the more immediate context, it follows a place where Jesus says that salvation won't necessarily belong to those who can claim that they had eaten and drunk with Him or that He once taught in their streets. This gives some poignance to Jesus' weeping over Jerusalem in our lesson. 4. One of the most interesting aspects to consider about this passage is that "some Pharisees" warn Jesus that Herod is determined to kill Jesus. Was this group of Pharisees, members of a sect of Judaism so often opposed to Jesus, sympathetic to Him? Were they trying to save Jesus' life? Or were they afraid of the consequences of a confrontation between Jesus and Herod? Or were they, like so many people in this section of Luke, doing what they could to thwart Jesus in His intention of going to Jerusalem? We don't know for certain. But I'm inclined to think that it was a combination of fear over a confrontation and a desire to prevent Jesus from going to the very center of religious life, where His considerable popularity might grow. Tomorrow, I hope to post verse-by-verse comments. 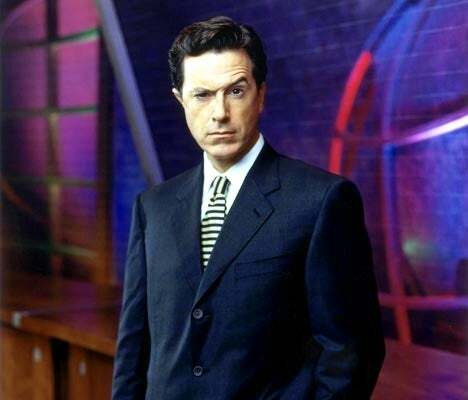 Scott Ballard asks his readers what they think of Stephen Colbert. "Is he funny?" Scott wonders. I have some ideas on that and on the broader subject of satire as it's practiced today. I've never watched Colbert's show. I was turned off by his White House Correspondents Dinner attempt at satire, just as I was to Don Imus' run at the same goal at the same venue during the Clinton Administration. Neither were funny, just cruel, petty, and pointless. So, whatever incentive I'd previously had for checking out Colbert's show has long been lost to me. I also don't watch Jon Stewart, from whose show Colbert's character was spun. I thought that Stewart was so completely incapable of creating laughter back during his MTV days that I've been unable to even try watching his current late night offering. There's a place for satire, of course. But the problem is that there are so few people who can actually do it, far fewer than the number of those who think they can. I believe that we need authentically good satire these days, though. Whether it's in politics, corporations, church hierarchies, academia, the sciences, entertainment, or the media, too many people on whom the responsibilities of power have been conferred view their power as an entitlement. They think of themselves as an elite class and they seem to regard the rest of the world, who they're supposed to be serving, as inconsequential nobodies. This ideology of entitlement, which crosses all sorts of philosophical lines, is a worthy subject for satire. But much of what passes for satire these days is nothing more than reverse elitism, a hipper-than-thou approach that can only sniff disdainfully at others. Or worse, it's character assassination, evident even in the monologues of Jay Leno and David Letterman. Satire should enliven and rouse. When Charles Dickens or Jonathan Swift satirized a society that accepted a Social Darwinism that looked down on the poor, they did so from a positive perspective that insisted people knew better. So did Mark Twain in his send-ups of nineteenth-century American pomposity. But what passes for satire today seems to create a destructive, personal, undiscerning cynicism that gives up on positive change. It's the "humor" of the eat, drink, and be merry crowd, nihilism with a derisive giggle, fatalism that sees no point in addressing the elitism that satire should lampoon. We see the effects of this incessant, resigned cynicism in people whose primary source of news and information is the late night character assassins or the radio and TV talk show hosts of various political persuasions. There are many elitists who need to be knocked down a peg or two. But these alleged satirists aren't really doing that so much as they're coarsening culture and encouraging hopelessness. At least that's what I think. If his mother had been insured. If his family had not lost its Medicaid. If Medicaid dentists weren't so hard to find. If his mother hadn't been focused on getting a dentist for his brother, who had six rotted teeth. By the time Deamonte's own aching tooth got any attention, the bacteria from the abscess had spread to his brain, doctors said. After two operations and more than six weeks of hospital care, the Prince George's County boy died. Deamonte's death and the ultimate cost of his care, which could total more than $250,000, underscore an often-overlooked concern in the debate over universal health coverage: dental care. Some poor children have no dental coverage at all. Others travel three hours to find a dentist willing to take Medicaid patients and accept the incumbent paperwork. And some, including Deamonte's brother, get in for a tooth cleaning but have trouble securing an oral surgeon to fix deeper problems. In spite of efforts to change the system, fewer than one in three children in Maryland's Medicaid program received any dental service at all in 2005, the latest year for which figures are available from the federal Centers for Medicare and Medicaid Services. The figures were worse elsewhere in the region. How do we accept or justify a child dying from a toothache in the United States of American in 2007? That isn't a political question, although its answer will require something like political courage from members of both parties to address the scandalous facts of this case and the scandalous realities underneath them. If you're pro-life, as I am, it seems to me that you can't countenace the inconsistency of claiming to care about life in the womb without having an equally urgent concern about life outside the womb. I wondered about this myself the other day and my wife even asked why I haven't been addressing the topic. In a nutshell, I guess I find the race very uninteresting so far. And it's way too early for these candidates to be campaigning like they are. On top of that, I've probably given the race way too much attention over the past few months. So, I'll chill on the election until something interests me about it. But at the rate things are going, that might not happen until January, 2009. I want to discuss another reason that people sometimes give for not being involved with a church. During my seminary internship, I met one of the most exasperating people I've ever met. Mary, not her real name, was a resident at a nursing home which my internship supervising pastor and I visited monthly. Mary had all her mental and physical faculties. But she had moved to the nursing home to be near a nephew and a niece, her only living relatives. Mary was a sweet person. But what made her exasperating was her complete refusal to believe that God might want to have anything to do with her. When the supervising pastor and I visited the nursing home, we invited all the residents to join us for a simple worship celebration in which they could sing a hymn, hear a reading from Scripture, and receive Holy Communion. Mary came to these services. She sang the hymns from memory and could recite the Bible passages we read. But whenever we offered Holy Communion, Mary refused. "I'm not good enough," she told us. I've heard Mary's statement in many forms, not just as a reason for refusing Holy Communion, but also for not being part of a church altogether. "No church would want me," they say. "I'm not a good enough person." There's nothing wrong with feeling guilt for our actions. Failing to acknowledge our sins erects walls between God and us, between our neighbors and us. That's unhealthy. Guilt can be a trigger for us to admit the ways in which we've hurt God and other people and to seek reconciliation. That's healthy. But Mary's problem wasn't guilt. And guilt isn't the issue of those who claim that they're not good enough to be part of a church. In both instances, the real issue is shame. There is a difference. Guilt is regret over things we've done. Shame is regret for who we are. Guilt can lead to a proactive commitment to positive change. Shame leads to psychological powerlessness, a belief that we're worthless. When God showed up on earth in the person of Jesus Christ, He spent time with and forgave all sorts of notorious sinners. You can never be too sinful to begin or renew a relationship with Him or be part of His family, the church. The Bible says that we are made in "the image of God." In part, that phrase means that in spite of the effects of sin on our characters and actions, God has imparted something of His life and identity to us. To be human is to be something very special in the eyes of God, whatever our faults. "If I ever came to your church," a man once told me, "the roof would fall in." "I tell you what," I told him. "I'll wear a hard hat and we'll see what happens." If the roof doesn't fall in when I go to worship, it won't do it when anybody else shows up. The Bible says that, "All have sinned and fall short of the glory of God." So the church is the place--more exactly, the church is the fellowship of people--where we're reminded both of our need of forgiveness and of our access to it through Jesus Christ. The question isn't whether you're good enough for God. None of us is, yet God wants us anyway! The real question is whether we're honest enough to admit our need of God and open enough to let Him forgive us and be the most important Person in our lives. as presented by Amba. Very funny! A local sheriff was in need of a new deputy and the only applicant was a guy who might be charitably described as not the brightest bulb in the pack. But, in fairness, the sheriff decided to interview the guy. He began by asking, “What’s 1 plus 1?” The applicant said, “Eleven.” It wasn’t the answer the sheriff was looking for, of course, but was right in its way. So, he asked another question: “What are the two days of the week that begin with the letter T?” Without hesitation, the applicant said, “Today and tomorrow.” Again, not what the sheriff was looking for, but accurate. In today’s Bible lesson, Jesus has just come from being baptized, where God the Father triumphantly declared Him to be the Son--the very presence of God--and the Messiah, when the Holy Spirit drives Him into the wilderness--the desert--to be tempted by the devil. It's Jesus’ first day on the job and already, He’s in a contest to decide whether He’ll be faithful to the Father’s will for go another way. Interestingly, the words used in the Greek of the New Testament--peirazo or ekpeirazo--can be equally well translated as test or temptation. Every temptation that comes from the devil, the world, or our sinful selves is also a test from God. One of the most famous stories of the Old Testament begins with God bragging of the faithfulness of a man named Job. But the devil challenges God. “Of course, Job is faithful,” he says. “He has a beautiful wife, wonderful children, lots of land, and all sorts of cattle and livestock. What would happen if these things were taken from Job? Would he be so faithful?” God tells the devil to do his worst. The devil’s subsequent temptations were simultaneously God’s tests of Job’s faith. The same thing happened to Jesus in the wilderness. The devil, our common adversary, tempted Jesus. But in the midst of the tempting, the Father tested Jesus. With each passed test, Jesus was strengthened and prepared to keep focused on the Father’s will for His life. The same can be true for us. There were three major temptations and tests that came to Jesus during His forty days in the wilderness. Each echo the experiences of ancient Israel when they wandered in the wilderness between Egypt and the promised land God was giving them. And, more importantly, each one reflects the major temptations that you and I face as we wander through the wilderness of this life heading for our promised eternal home with God. It’s been my observation that every human being has what I call a “sin of specialization.” The sins that hold no interest for one person can be the overwhelming, gnawing hunger of another. The devil and the evil that resides within us and around us, will seek out these hungers in us to try to pull us away from God. I read about a man who was consumed with becoming wealthy, so much so that he created an elaborate investment scheme in which he convinced his friends and acquaintances to invest hundreds of thousands of dollars. The friends grew suspicious when the quarterly performance reports stopped. They learned that the man had for several years been using their money t live it up with his friends' money in Vegas and Palm Springs. That man fell prey to his hungers. The things for which we really hunger are God and the infinite blessings only He can give. But temptation can lead us to try to feed those hungers with other things. That’s why Jesus told the devil, “One does not live by bread alone.” We must instead rely on God's Word for life! In the second temptation, the devil challenged Jesus to worship him. If Jesus would worship him, the devil lied, Jesus could have all the kingdoms of the world. During the wilderness wanderings of God’s people in the Old Testament, they came to want a god that they could see and touch and control. So, they melted down the gold in all the jewelry given to them by their Egyptian slave masters and fashioned it all into a golden calf. They bowed down and worshiped it. We may laugh at the stupidity of worshiping a hunk of metal. But the same impulse to put our focus on things and people we can see, touch, and control, rather than on God, exists within us. We may get sidetracked into sin by the attractive person in the hotel lounge open to a one-night stand; the promise of a good grade to be had simply by copying from the A+-student in the next seat; the commission to be gotten by hacking into a co-worker’s sales reports and changing a few small facts; or other temptations. The third temptation from the devil took place on the pinnacle of the temple in Jerusalem, where he told Jesus to jump. He twisted words from the Psalms to try to prove to Jesus that it was okay: If--or since--you’re God’s Son, the devil said, throw yourself to the ground. After all, God promises that his angels will spare you from splatting on the pavement below. But Jesus quoted Old Testament words in which God warns us not to put God to the test. It’s one thing to be pushed from great heights; it’s another to throw ourselves from them and then expect God to rescind the law of gravity to protect us from the consequences of our own stupidity. A pastor friend of mine once lamented the size of his mortgage. With a sigh he said, “My life would be so much easier if I just remembered what Saint Paul says in the Bible, ‘Owe no one anything.” In the world of 2007, of course, it’s tough to own a home and not have a mortgage. But I know people who pile up massive mountains of debt and then say cheerily that they’re sure God will take care of their finances. People make the same mistake with all sorts of sins. They like to sow their wild oats and then count on God to bring a crop failure. Jesus knew that to depend on God and His grace is not the same as expecting Him to wink at our sin. The first is captured in a real incident that happened a few years ago at an Oregon middle school. Some girls there thought it was fun to put on lipstick in the rest rooms and then press their lips against the mirrors, leaving little kisses all over them. This went on for several weeks when the principal called together groups of girls in one of the rest rooms. There, she explained that the lip prints caused the custodian major problems. She then asked the custodian, who was with them, to show the girls what she meant. So, he dipped a long-handled brush into a toilet and scrubbed the lip prints away. When you young people are tempted to go against the directions of your parents, when you older folks are tempted to fudge a little when working on your TurboTax, when any of us are tempted to berate someone, remember these temptations to violate God’s law of love for Him and love for neighbor aren’t sins until we wimp out and cave into the temptations. The third and most important lesson we can learn from Jesus’ being tempted in the wilderness is this: At every turn, Jesus was able to resist the devil by knowing what God says in His Word, the Bible. Jesus knew not just what the words of the Bible said. He also knew what the words of the Bible were about. That was because He spent time in God’s Word every day. It was His bread and water! This isn’t rocket science, folks. If we’re intent on having an authentic, meaningful life with God and be prepared to resist the temptation to walk away from God, we need to read His Word every day. When we’re focused on Jesus Christ, we’re empowered to live life as it’s meant to be lived! Dig into God’s Word and you’ll build up a tower of faith in Christ and an ability to really live life that no one and nothing can tear down!